riceeeeeeeeee wrote: -Meep- we got to wait 7 days to post links. I already allowed members to post links (: You can try it now. 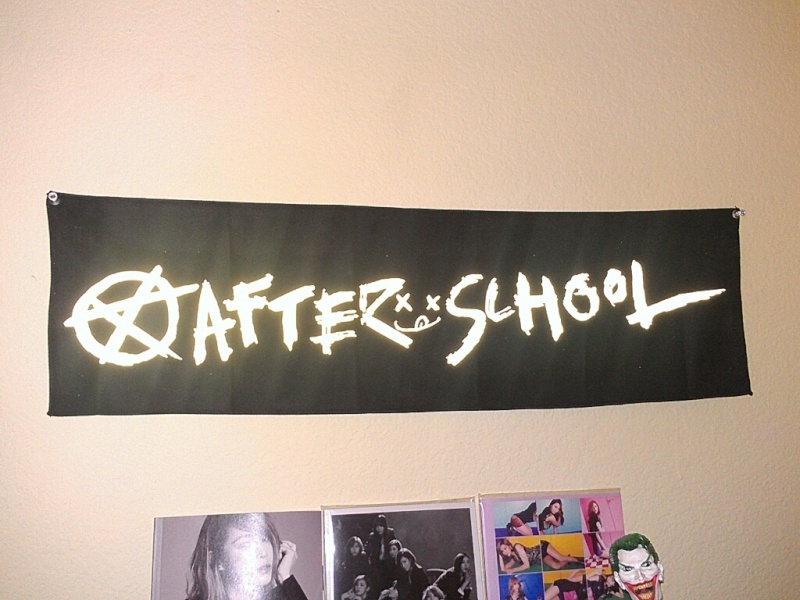 I edited the title of the thread so that it's not only AS CDs that is allowed to be posted here, but all After School Collections like Posters etc. as well (: I hope it's okay. This is my collection, not to big right now, but eventually I will have them all!!!! Gokoulssj wrote: This is my collection, not to big right now, but eventually I will have them all!!!! omg your Lipstick's Lizzy photocard tho!! I was extremely lucky on that photocard. Orange Caramel's "Lipstick" album was the first one to buy and I didn't know about photocards at the time. 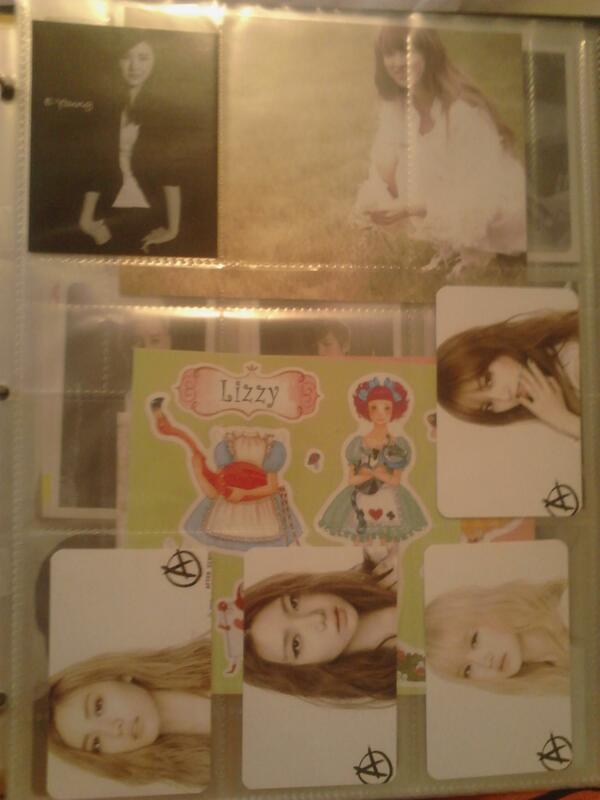 Having my first photocard be of my bias Lizzy was just awesome. Notes: Some of the cd's are of other artists with a member featured in some way. My shh cd's are with a friend in Japan so they're not pictured either. 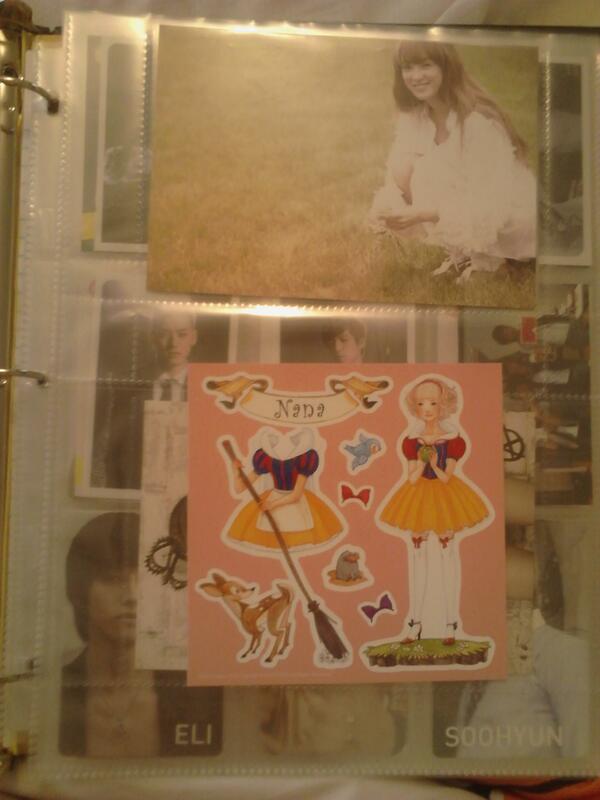 And I didn't include my Raina fan goods. 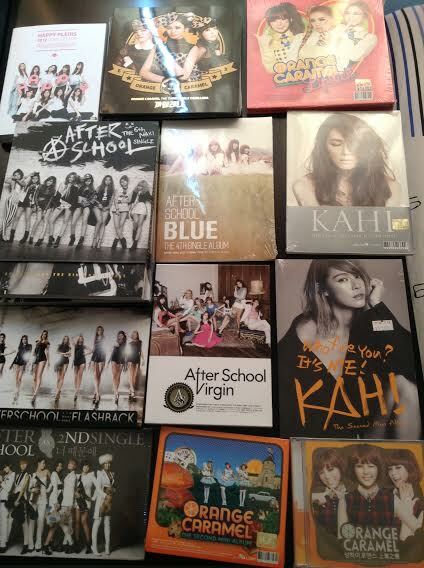 How come you guys are so rich T^T I only got Virgin and Flashback album and a rambling girls poster. I keep them all like this. I didn't even realize there was a letter on my other albums when I took this lol well all you can read is best buy on it anyways. These are my Korean albums. These are my Japanese collection. I saw my Virgin photocards were fake once I received them and was able to get a refund so I got them for free. 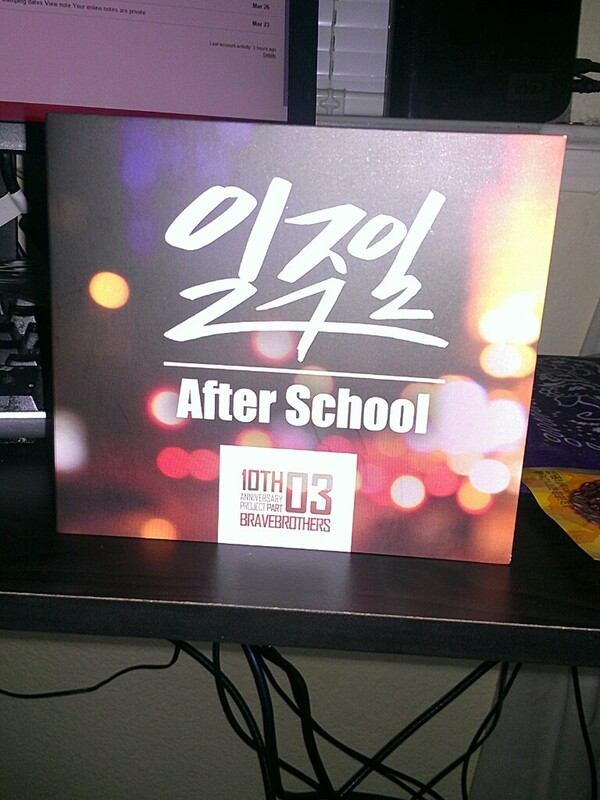 *The Kahi photo card came in the After School Blue album, what a great surprise it was to me! 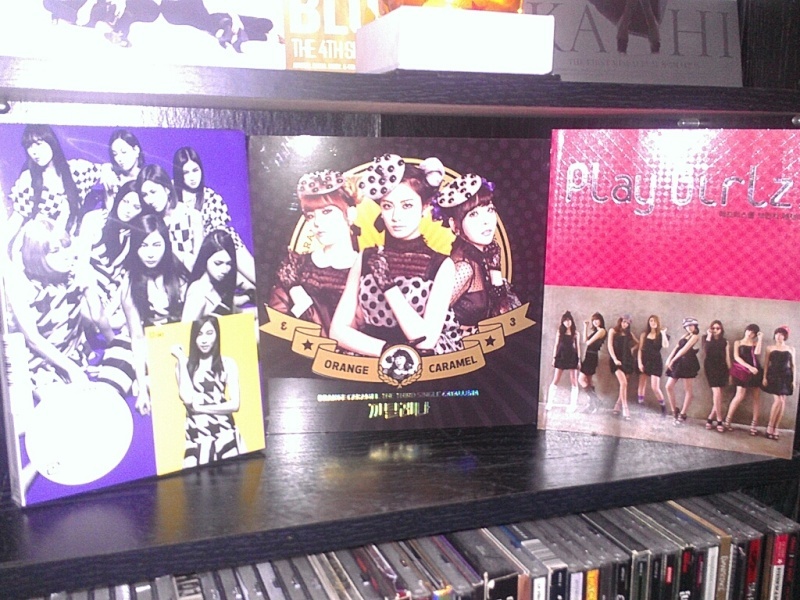 After School - Dress to Kill, Orange Caramel - Catallena, After School Essay Book - Play Girlz! That is my collection so far, I got more coming (Especially my signed Catallena Album), just waiting for them to be delivered. 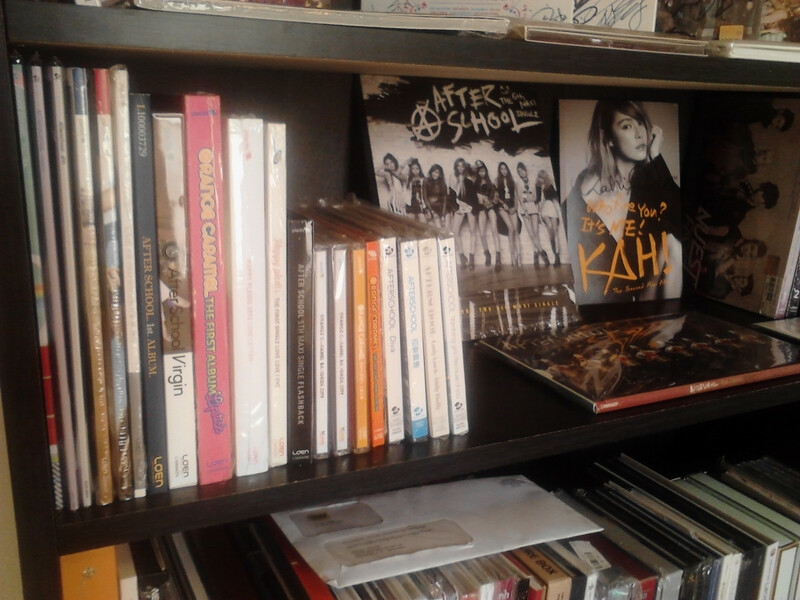 Nana&Kaeun4lyfe wrote: This is my collection. 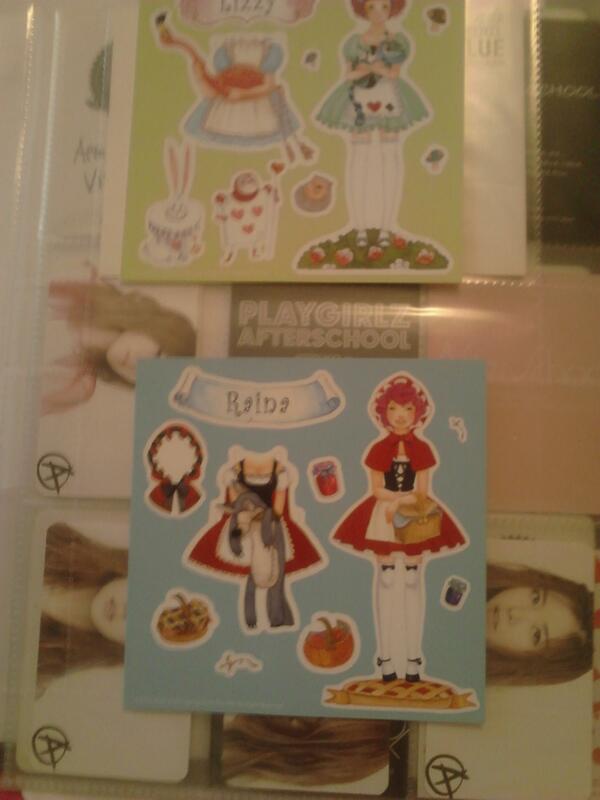 OMG where are those Orange Caramel stickers from ? Ya, I had some extra money last month so I tried to buy as much as could, but I have to slow down for the rest of the year LOL The Playgirlz Essay Book I bought at DVDheaven for about $17, but currently they are sold out. I love the whole designed of the mission card, I will try to donate more soon. Thanks to everyone involved in the mission card, it really is awesome. 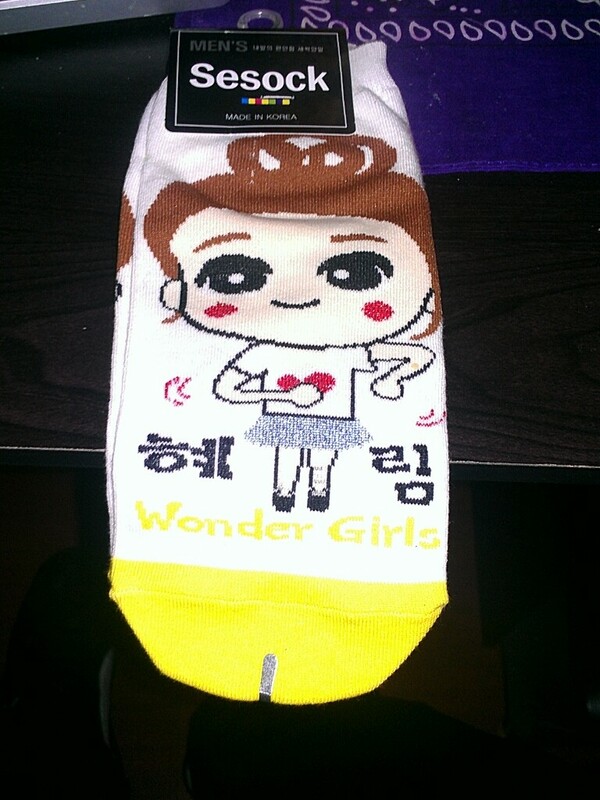 Along with the After School Towel I received these Wonder Girls socks as a free gift LOL I doubt I will ever wear them, but who knows, right? only bad thing was i was into kpop only last year december so i missed out on quite some old albums. 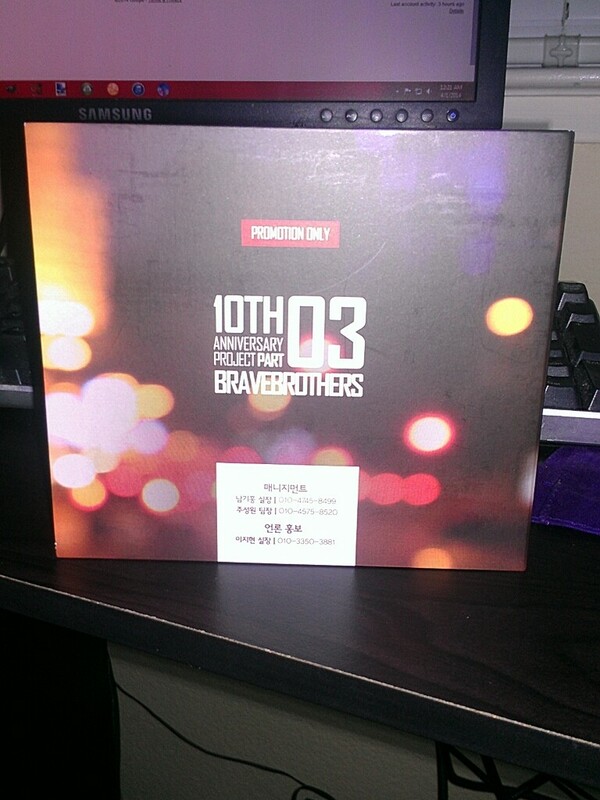 bennyraina wrote: only bad thing was i was into kpop only last year december so i missed out on quite some old albums. I know the feeling, it hasn't been long since I became a fan. 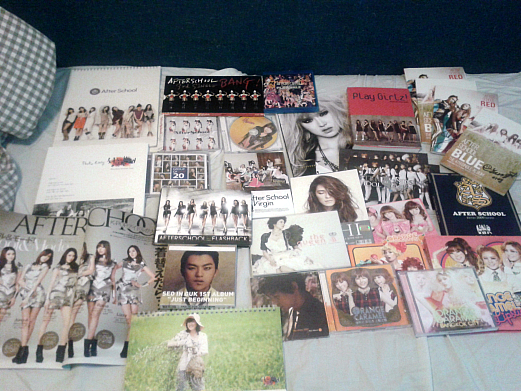 That's quite the collection for only being into kpop since last December. For me I'm approaching my 2 year mark. I also missed a lot, but I'm trying my best to catch up at my own pace. The cool thing is, it doesn't matter how long you've been a fan for, we're all here for one thing. Supporting After School/ Orange Caramel as much as we possibly can while meeting so many great fellow fans along the way. 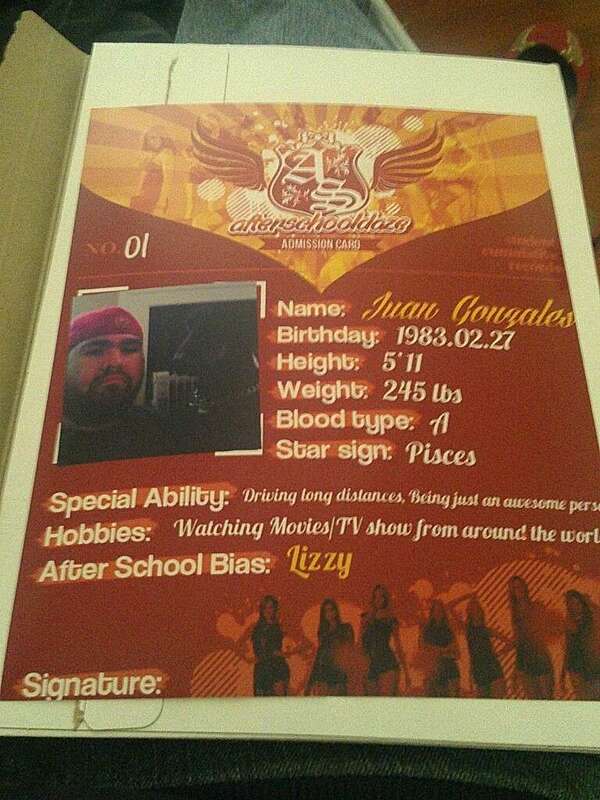 All of your Merchandise Photos can be sent to Playgirlz World to be featured in their "Right Here, With You" Yearbook (Which will be delivered to After School!). Just follow the instructions HERE.